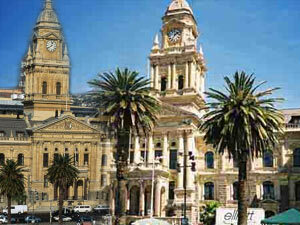 Historically Cape Town has always been an important city. Due to its status as a port/harbor it attracted the Dutch East India Trading Company who established their posts here in the early 1650s to facilitate trade with India, the Far East and the rest of Africa. The same trading company brought a number of slaves to Cape Town to perform menial jobs. The mansions and buildings erected by the Dutch during this period survive even today. Cape Town then fell to the British in 1795 and then again in the early 1800s who then eventually founded the Union of South Africa in 1910.